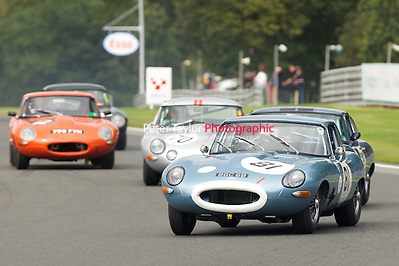 The August bank holiday, saw the usual festival of historic racing cars at the Oulton Park Gold Cup meeting. This year’s meeting was a celebration marking 50 years of the iconic Jaguar E-Type. With over thirty-three Jaguar E-types lining up for the two thirty minuet races of the weekend, the drivers include Jon, Alan and Jason Minshaw, Barrie Williams, Tony Jardine and John Cleland. The HSCC HyBox Historic Touring Cars had an entry list of which included Austin Mini Cooper S, Hillman Imps and a collection of Lotus Cortinas. 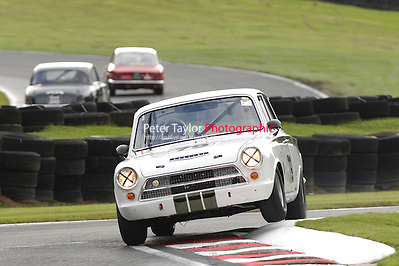 But it was Mark Jones at the wheel of his Ford Louts Cortina which took victory, second place went to Tim Davies also in a Lotus Cortina, with third place going to Andy Jones in a Singer Chamois. Here you can find a selection of images from most of the races.